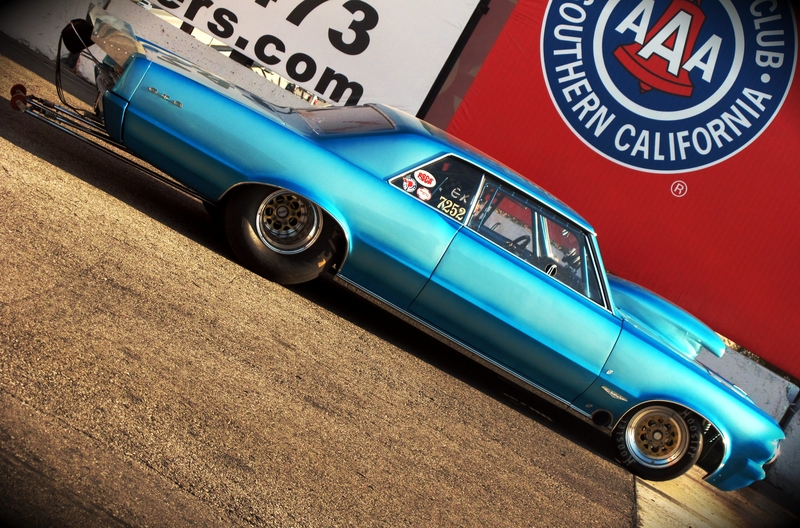 While at Toyota’s Irwindale Speedway recently for Amateur Drag night, I came upon this beautiful 1964 Pontiac GTO. 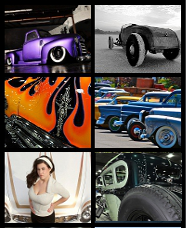 Although running in the professional class, this car is built from scratch by its owner, Dennis Jewell. 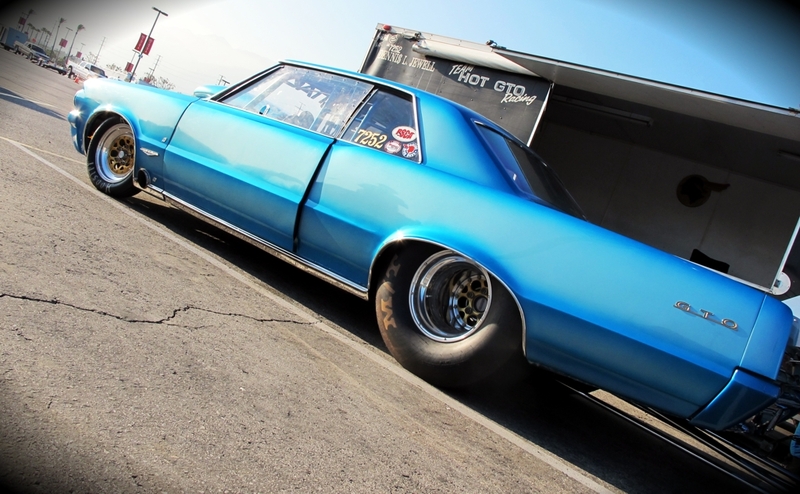 With brand new paint job, this 64′ Pontiac is breaking more hearts then ever. But the good part is, there’s plenty of substance behind the polish. 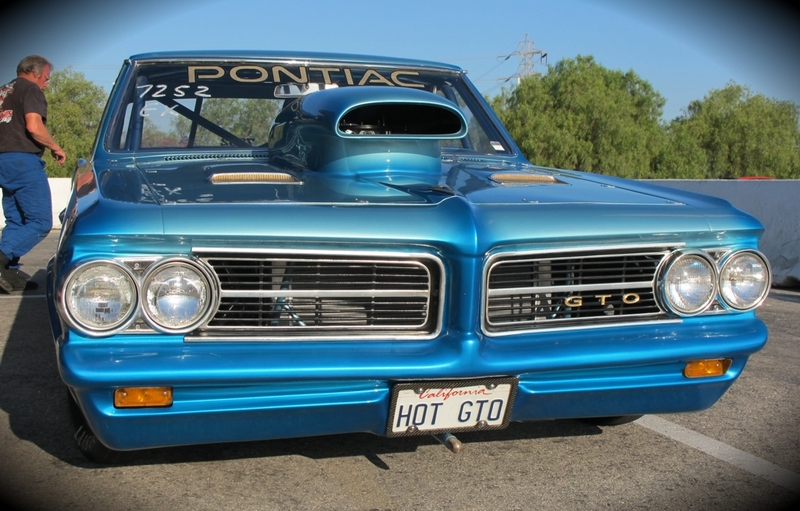 This GTO is powered by a 604 cid motor pushing out 1100 HP at 7,500 rpm! 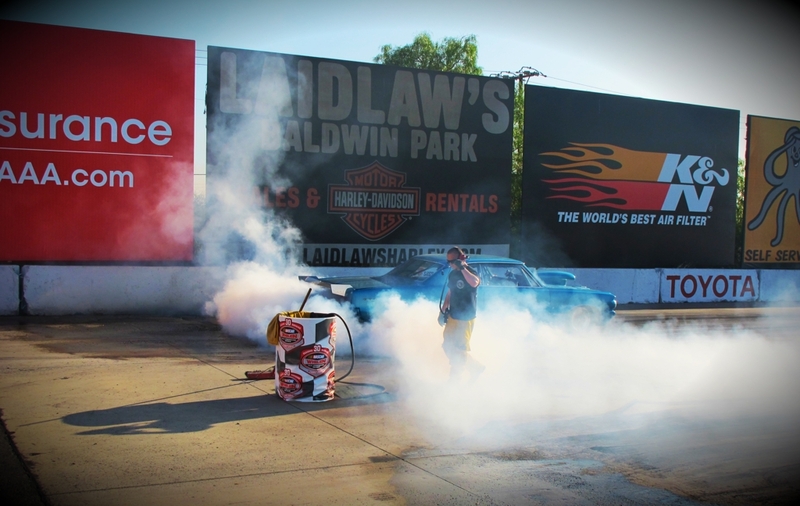 Aspirated with two 1050 Dominators, it’s fastest run has been the 1/4 mile in 8.3 seconds @ 163 mph. 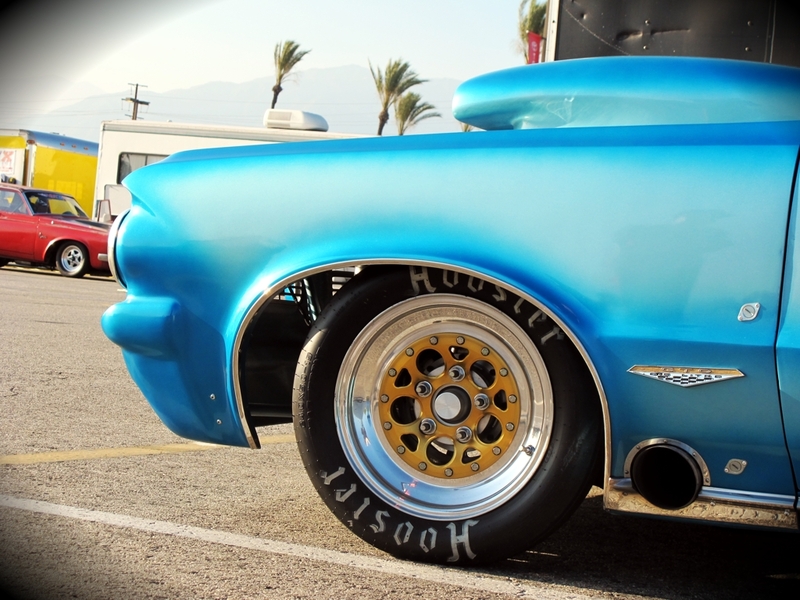 I love this cool exhaust exit at the front fender…. 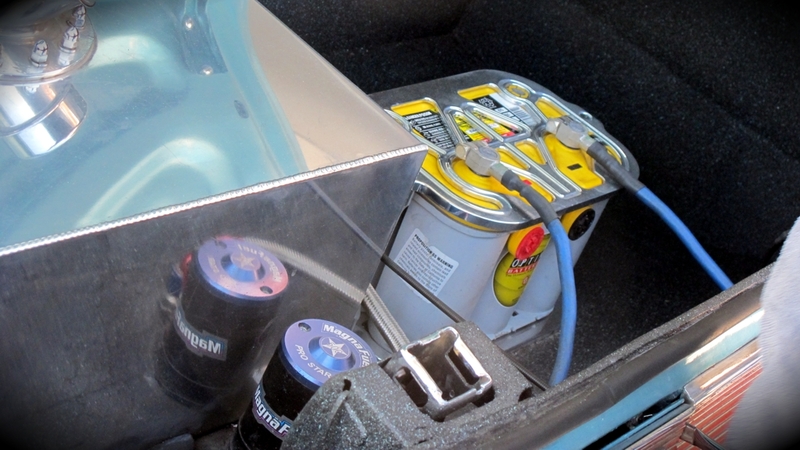 and good looking hold-down for its Optima Yellow Top battery in the trunk. Even more, I love that Dennis has built this beauty himself – along with good friend Jimmy Branham’s support. 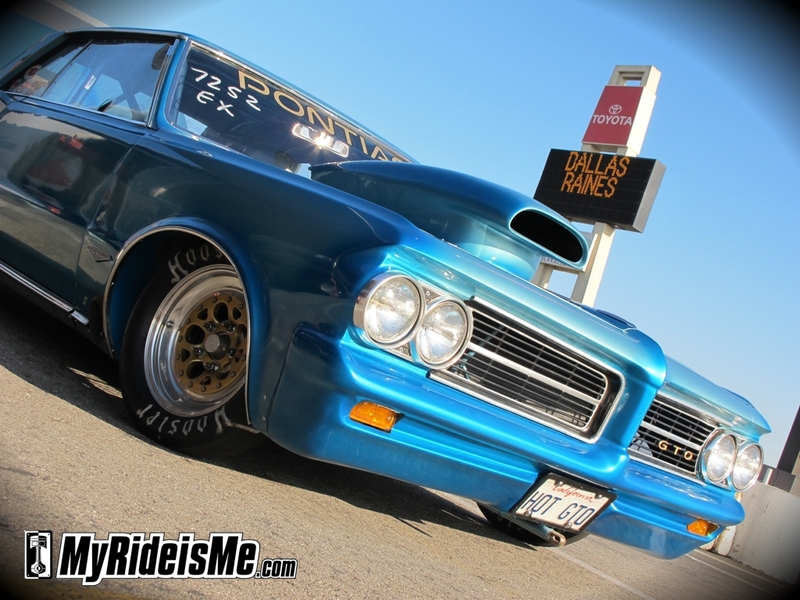 Cruising in a High Speed GTO! I agree with Matt, wheres the block? I know, I know…that picture is what’s missing! I’m working on getting one – but the day of he was a little tired after racing and didn’t want to lift off his hood :( If I can get my hands on a pic, I will definitely post it!